A solutions-based look at developing awareness, abundance, and self-reliance in a world out of balance. It is hard to deny the critical issues currently facing humanity. In the midst of vast suffering, tyranny, and environmental ruin, Growing Freedom emerges as a solution-focused call to action that promotes living consciously in a world where resources and freedom abound. 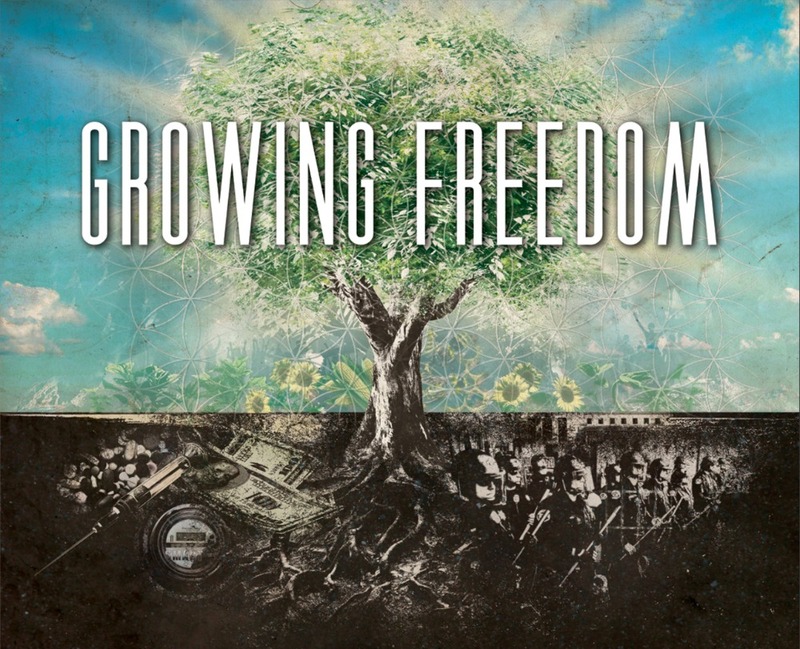 Growing Freedom explores the threats to peaceful abundance and sovereignty—government control, mass food production, toxic healthcare, corrupt financial systems, and more—while presenting ways to counter the consequences of an increasingly imbalanced world. Join filmmaker Bob Tuskin, producer Chris Tompkins, and other activists on a journey of homesteading, learning, loving, and growth. This hands-on documentary shows how permaculture, gardens (vs. lawns), beekeeping, urban farms, and more are transforming people's relationship with the land and the food they grow and consume. This unique film also focuses on issues surrounding access to vital resources by revealing how corporations and governments are attempting to control the planet's water by promoting false notions of scarcity. Growing Freedom also features the importance of plant medicines as alternatives to the corporate pharmaceutical industry—from healthy compounds found in flowers and fungi to the disease-fighting properties in cannabinoids. Finally, this one-of-a-kind project examines how Natural Law, sovereignty, and preparedness are essential to humanity's growth and prosperity. Growing Freedom illustrates why and how taking control through peaceful, non-compliant practices is now more important than ever. Keep doing what your doing bro, we need more like you! Your work has been invaluable for my personal growth! I'm eternally indebted!! !